Come see Nashville star Charles Esten, along with his co-star Clare Bowen, at State Theatre New Jersey on Saturday, September 10, 2016 at 8pm! Esten is best known for his lead role as Deacon Claybourne on Nashville. Previously, he appeared regularly on the improvisation show Whose Line Is It Anyway? from 1999-2005, where he was often paired with series regular Wayne Brady on musical games. In a recent interview on “All Access with the State Theatre New Jersey,” Esten revealed that people do not usually recognize him from Whose Line (To listen to the interview, click here). 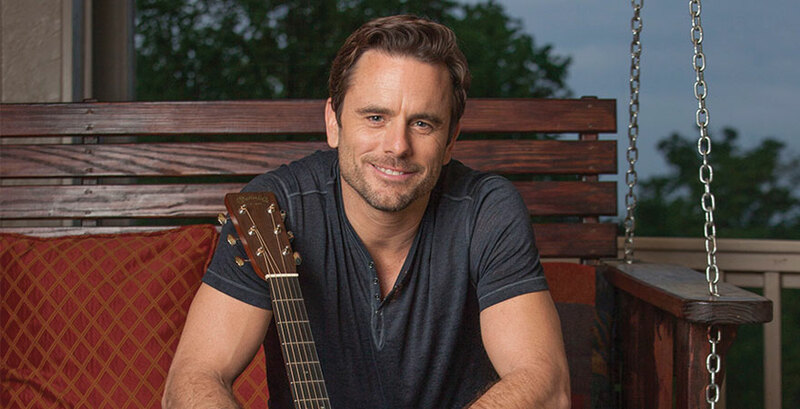 Charles Esten, also known as Chip Esten, was born in Pittsburgh, Pennsylvania and moved to Alexandria, Virginia at age nine. He attended the College of William and Mary, where he studied economics and was the lead vocalist in a local band called “N’est Pas.” After graduation, Esten moved to the United Kingdom to start his acting career as the lead in the musical Buddy. After becoming a regular on Whose Line, Esten’s career took off. First, he made a guest appearance with fellow regular cast members—Wayne Brady, Greg Proops and Brad Sherwood—on The Drew Carey Show. In 2003, he hosted a semi-scripted, semi-improvised comedy mini-series called On the Spot. From 2004-2006, he was a member of the Improv All-Stars and a recurring cast member on Drew Carey’s Green Screen Show. In 2011, he was a regular on Drew Carey's Improv-A-Ganza on GSN. Esten and his former Whose Line co-stars regularly teamed up and toured around the country doing live improv under the name Whose Live Anyway?. In 2013, Esten even appeared as a celebrity contestant on Who Wants to Be a Millionaire and won $500,000 for his charity! In 2001, Esten appeared in Billy Crystal’s TV movie, 61*, and had small roles in three Kevin Costner movies: The Postman, Thirteen Days, and Swing Vote. He has appeared as a guest star in various TV series including: Married... with Children, The New Adventures of Old Christine, Star Trek: The Next Generation, Star Trek: Voyager, ER, NCIS: Los Angeles, Jessie, The Mentalist, and The Office. Since 2012, Esten has been a member of the main cast of Nashville and has contributed to the soundtracks as both a singer and songwriter (he co-wrote “I Know to Love You Now” with Deanna Carter which was featured in the Season 3 premiere). Come hear Charles Esten and his Nashville co-star Clare Bowen sing songs featured on the hit TV show like “This Town,” “Black Roses,” “When The Right One Comes Along,” “Undermine,” “It's All Good,” “If I Didn't Know Better,” and more on Saturday, September 10, 2016 at 8pm at The State!